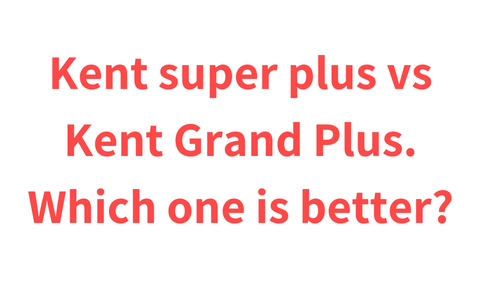 Kent Super Plus vs Kent Grand Plus. Which one is better? If you are planning to buy Kent RO water purifier then you may have found Kent super Plus and Kent Grand Plus water purifier and get confused which one to buy. 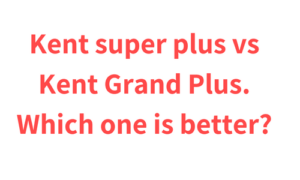 Because both Kent Super Plus and Kent Grand Plus water purifiers are pretty similar except there is one major difference between them (more about it below), so in this Kent Super Plus vs Kent Grand Plus comparison article I am going to share all the similarities and dissimilarities between these two water purifier. Fist lets talk look at the design and build of these two water purifiers. In terms of design and build both water purifiers are almost same. Both water purifier are made from Food grade plastic which is not toxic and durable as well and the filters of both the water purifier are naked and there is transparent cover on them. Also there is water level indicator in both of them. Overall both the water purifiers are almost same in terms of design and build. Both the water purifiers have pretty similar purification Technology except there is a one major difference in the purification filters of both of these two water purifiers. First let’s talk about the similarities both the water purifiers. Both water purifiers have a RO filter which removes dissolved solid and solid from the water it also removed dissolved heavy metals from the water like Arsenic and Lead. Both the water purifier have sediment filter which removes visible impurities from the water. Both water purifiers have activated carbon filter which removes chlorine and harmful chlorine by-products from the water. It also removes bad taste and odour causing contaminants from the water. Both water purifiers have UF purification which is consist of UF membrane which removes visible impurities from the water likes sand, dust, mud etc. Also both water purifiers comes with TDS Controller, which helps to retain the essential minerals in the water. Now let’s talk about the difference. 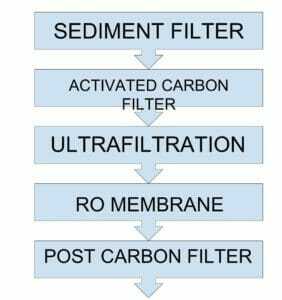 Kent super plus have RO filter, sediment filter, activated carbon filter and UF purification Technology. And Kent Grand Plus has filter sediment filter, activated carbon filter, UF filter along with UV water purification. As you can see Kent Grand Plus has one additional water purification Technology which is UV water purification Technology. This is a pretty advanced water purification Technology. UV water purification Technology contains UV bulb, water is exposed to the UV rays of the UV bulb which inactivates harmful bacteria and viruses from the water. Also Kent UV water purification Technology have higher power 11 Watt UV bulb which is more effective in inactivating harmful bacteria, viruses and protozoa from the water, ensuring that you and your family is protected from microbial contaminants and viruses. Both the water purifiers have same additional features as they are from the same brand. Both water purifiers are equipped with Spin welded RO membrane which is damage resistant, ensuring the long life of it. Both water purifiers are equipped with built in SMPS. The SMPS basically works as an voltage fluctuation guard which protects the water purifier from getting any kind of damaged during voltage fluctuations by stabilizing the current and converting High Voltage DC current into AC current. SMPS is also considered as energy efficient so it will help in cutting off some electricity expenses. Both the water purifier have Push-Fit Components. Push fit components basically means that the parts of the water purifiers are attached to each other in such a way that it will not cause any kind of water leakage. Also both the water purifier are equipped with filter change alarm, which will notify you whenever you will have to change the filter. Kent Grand Plus contains UV fail alarm as it has UV water purification Technology. UV fail alarm basically notifies you whenever the UV bulb gets inactive. As you can see both the water purifiers are almost same. There is no difference in the design and build of both of these two water purifier. The water purification system of these two water purifiers are same as well, except Kent Grand Plus is equipped with UV water purification additionally. Talking about additional features both the water purifiers are equipped with essential additional features which is built in SMPS, Spin-welded RO membrane, Push-fit components and alert system. Except Kent Grand Plus has an additional UV fail alarm system as it is equipped with UV water purification Technology which you will not found in Kent super plus. 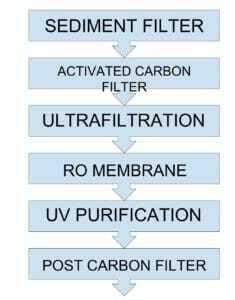 So if you have already tested the water for which you want to have a water purifier and you have found any kind of microbial contaminants like bacteria, viruses or Protozoa in it, then Kent Grand Plus is recommended as it is equipped with UV water purification technology which is very effective in inactivating such microbial contaminants. Also if you are very concerned about drinking water quality and you want to be on the safest side then it is a good idea to have a UV water purification along with RO water purifier, so again Kent Grand Plus is recommended. That’s all about Kent Super Plus vs Kent Grand Plus comparison article. I hope you found this comparison helpful. Let me know if you have any questions in the comments section below. Kent Supreme vs Kent Grand Plus. Which one is Best? Livpure Envy Plus vs Kent Pearl. Which one is the Best?